since been taught by a wide range of tutors, mainly Bruce Gandy, Iain Macdonald (Glenuig) and Angus Mackenzie. Originally from Austria, he is now based in Uist studying for a BA in Applied Music at the University of the Highlands & Islands. 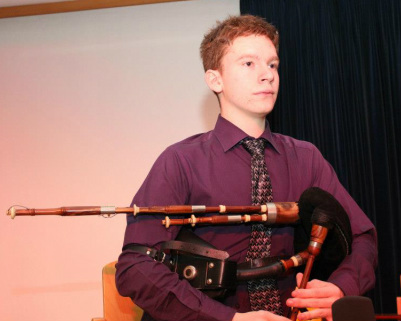 Christian has played with the Juvenile band of the West Lothian pipe band Boghall & Bathgate Caledonia for two seasons, winning the Cowal Championship in 2010 among other prizes. at the Royal Albert Hall in London.